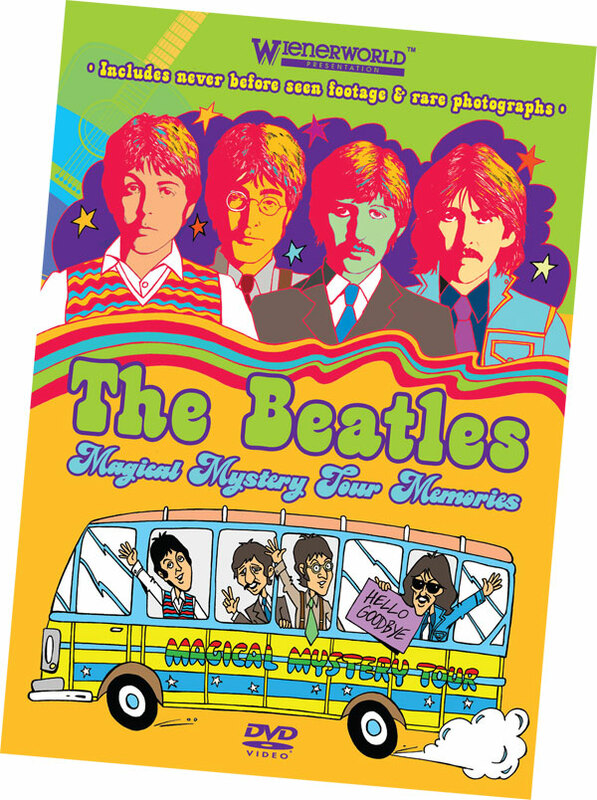 The Magical Mystery Tour was the first Beatles film project following the death of Manager Brian Epstein in August 1967. The film was unscripted as various ‘ordinary’ people travelled on a charabanc bus, having ‘magical’ adventures en route. The movie soundtrack was released in the UK in December 1967 and in 1968 received a Grammy Award for the best album reaching the coveted #1 slot in the US for eight weeks. The Beatles - Magical Mystery Tour Memories is an upbeat rockumentary film featuring the vivid memories of those who witnessed the making of the cult Beatle movie, The Magical Mystery Tour, in 1967 and features a celebrity cast along with anecdotal stories and unseen 8mm home movie footage, as well as eye-witness accounts from fans, on-lookers and the cast of the movie. Featuring Tony Barrow (Beatles press officer), Mike McCartney (Paul McCartney’s brother), Miranda Ward (journalist and friend of the Fab Four), Spencer Davis (Spencer Davis Group), Tony Bramwell (Beatles road manager and close friend of Sir Paul McCartney), Neil Innes (Bonzo Dog Do Da Band), Freda Kelly (principal secretary to the Beatles Fan Club), Dame Peggy Spencer (choreographer), and Victor Spinetti (actor and close friend of John Lennon), sharing their memories with Victor supplying a fascinating commentary to the film. From the outset this film intended to be as accurate and respectful to The Beatles' original work as possible, and hence every attempt was made to license extracts of original film footage and original master soundtrack recordings as these would have greatly helped to enhance the fantastic stories featured. Unfortunately all such requests put to Apple Corps were declined. The producers therefore had to use the next best option of similar sounding backing tracks. This film is a must have for all Beatles fans worldwide and an opportunity to look back fondly at the heady days of the swinging 60s and the fantastic stores featured.